Hello, ladies! Have you heard about hair straightening products that can make flat ironing easier and faster and your hair – healthier and shinier? If so, you probably wonder how to choose the best hair straightening cream or gel. And if you haven’t – welcome to my blog, this post is waiting for you! 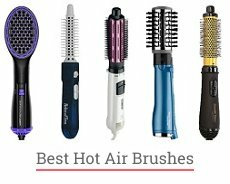 I’m Monica, and today I’d like to talk about the best products for straightening curly hair and products to keep hair straight after straightening it with tools like a flat iron. 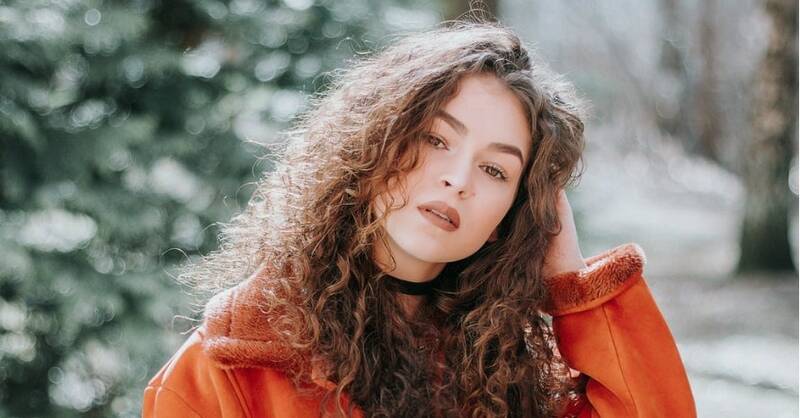 Also, I’ll answer some of the questions I get asked most often – ‘cause what’s the point of writing such a post without giving away some handy tips about straightening curly hair products? And as a stylist, I have quite a few up my sleeve. Flat ironing is a fast and effective way to have your hair straight. Yet, such styling may still damage hair due to the high temperatures. And that’s the moment when hair straightening products come to the rescue. Many of them can actually protect your locks from heat, nourish and moisturize them. 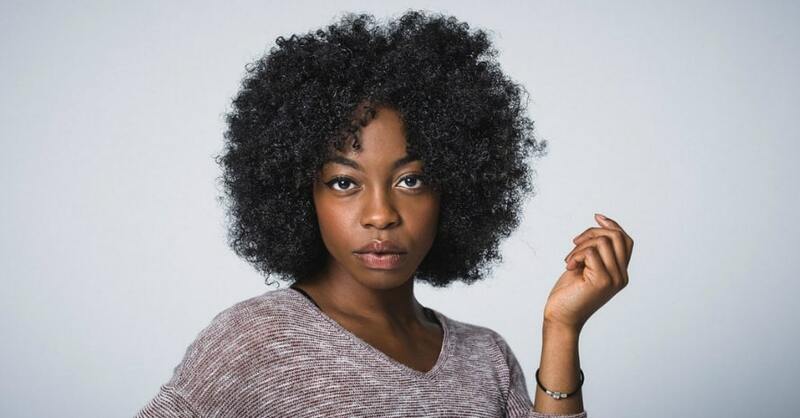 Also, some hair straightening products for curly hair can be used instead of flat ironing so that your locks get the chance to restore after high temperatures. I’ve made three top lists of the hair straightening creams, balms, and gels – depending on the hair type. 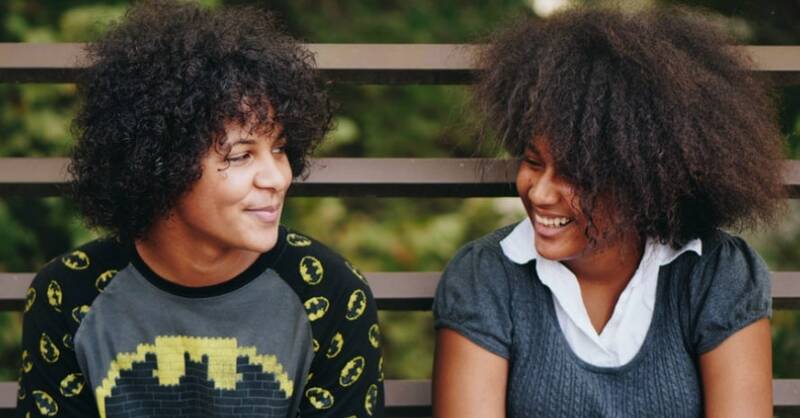 Eager to find the best products for straightening natural hair? Wonder what product to choose for straightening curly black hair? Curious about hair straightening products for men? Then my post is just for you! 4.1 Are these hair straightening products harmful to my locks? What are the safest products to use when straightening hair? 4.2 Why should I use hair straightening products after all? 4.3 How do I treat straightened hair? 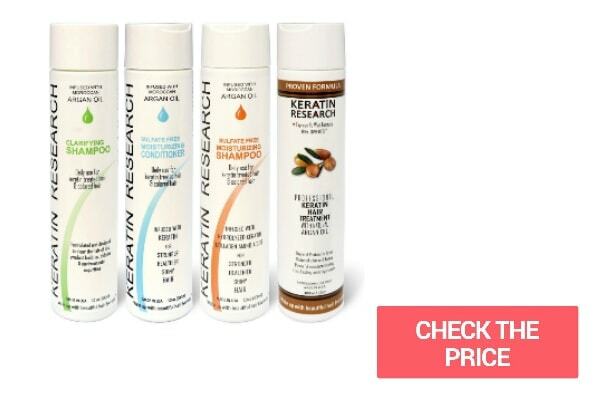 This set includes an original formula Keratin treatment and a clarifying shampoo along with a sulfate-free shampoo and a sulfate-free conditioner. The Keratin hair treatment helps straighten and smooth your hair for over 3 months. It contains argan oil, coconut oil, proteins, and amino acid complexes to moisturize your hair and make it healthier. As a result, you will get soft and elastic locks that are much easier to manage – who wouldn’t want that? 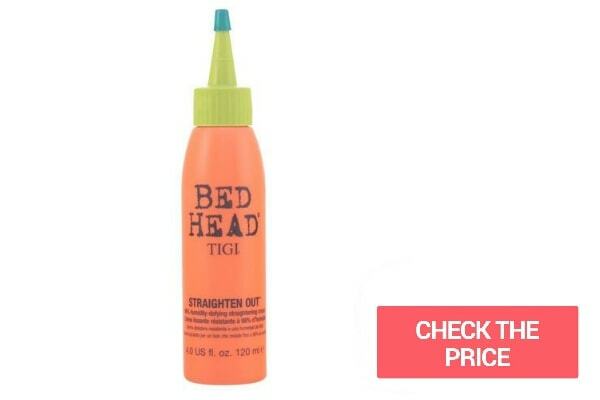 I find this treatment to be one of the best permanent hair straightening products. To perform the treatment successfully, you will need a flat iron that can maintain 450°F heat level, a blow dryer, a comb, and a clarifying shampoo. Be careful and read the instructions before the procedure. it’s suitable for virgin, colored, and chemically-treated hair. you need someone to apply the treatment on your hair – this is very difficult to do on your own. This cream is made to moisturize, nourish, and soften your hair. Also, it reduces frizz, repairs and protects your locks against split ends which is just as important. This sulfate-free treatment contains natural herbal complex that makes your locks healthier and easier to tame. I have normal medium-length locks, and it’s the best hair straightening cream I’ve ever used. Yet, it doesn’t work that well on thick coarse hair. If you’re worried about animal testing, you will be glad to know that this product is cruelty-free and it’s not tested on animals. doesn’t work well with really thick hair. 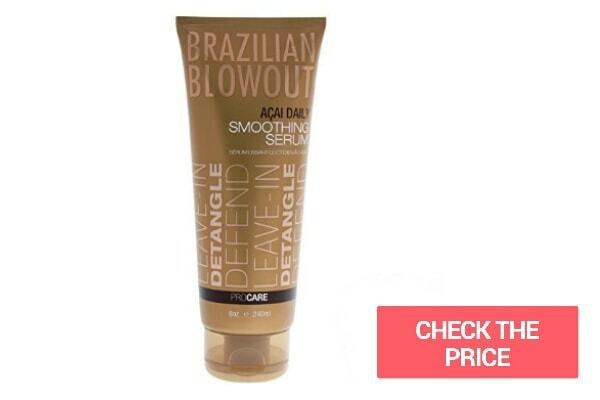 This heat-activated hair primer will prepare your locks for a healthy and beautiful blowout. It can be used to reduce frizz, soften, moisturize, and protect your hair during styling. The benefits are cumulative, meaning that over time of regular use your hair becomes more and more manageable and soft. It’s one of the best products for straightening hair if you prefer natural ingredients. This sulfate-free balm is 99% botanical, and the key ingredients are chamomile, sage, horseradish, and mucilage plant. Also, it’s cruelty-free which is a key factor for many people. it may seem pretty pricey. This styling balm helps straighten your locks, smooth them, and protect them from heat during styling. It seems to be heat-activated, and if you try to apply it to wet hair without the blow drying, there probably won’t be any improvements. Like the PHYTO Botanical Straightening Balm, this treatment makes your hair more manageable with every use. 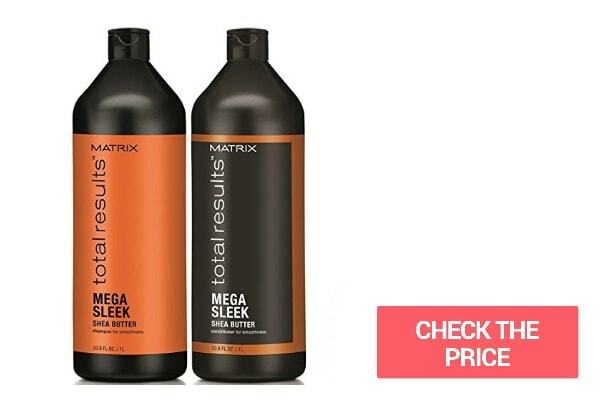 Comparing with other black hair straightening products, this one has only one solid con – the price. This straightening balm makes blow-drying your hair much easier, creating frizz-free, smooth, and shiny locks. Such a result may last up to 3 days which is quite impressive! The balm contains argan oil from Morocco that helps create this shiny and silky look. Also, the smell is just great which is a nice bonus. My verdict – this is the best straightening product for black hair I’ve come across so far! the blowout lasts a long time. recently, the price has just skyrocketed. Now, let’s look at some good products for straightening natural hair. There are creams and balms along with shampoos and conditioners, so you have many options here. When choosing the products for straightening natural hair, consider your hair length and overall condition. This treatment can be a great help in blocking out humidity, and it’s called a 98% humidity-defying straightening cream for a good reason. To create a blowout that will last a long time, apply the cream to damp hair and comb it through to distribute the treatment evenly. Then, blow-dry your locks until they’re completely dry and use a flat iron to straighten them. And enjoy your professionally-looking blowout! Can I say it’s the best hair straightening cream for natural hair? No, but it worked on my hair pretty great. So I am sure it’s worth a try. doesn’t work well on biracial hair. This lightweight cream, containing silk protein and vitamin E, helps smooth your locks and reduce frizz for up to 24 hours. 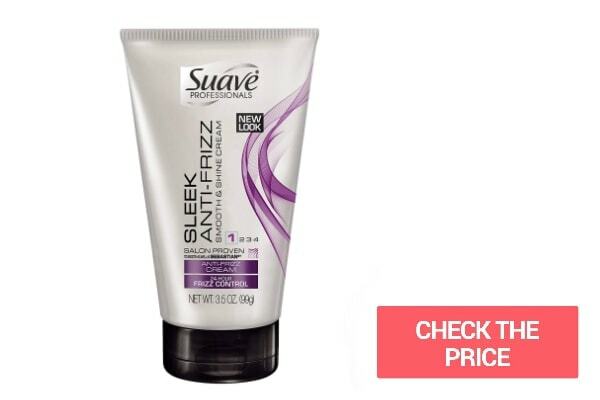 It’s supposed to work even better if you’re using other hair products of this brand – such as Sleek Shampoo Conditioner and Anti-Frizz Cream. 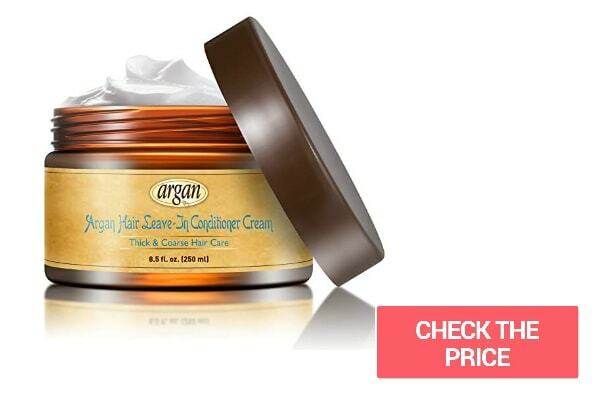 Use this cream as a surface finisher to complete your blowout, making hair shiny and smooth. For fine textures, use it on dry hair. And if your locks are medium or thick, you can also apply the cream on wet hair for extra frizz control – and then again on dry hair to smooth flyaways. if you use too much of the cream, your hair may feel too sleek or greasy. This straightening balm will smooth your hair and reduce frizz, leaving you with shiny, soft, and naturally-looking locks. Its Keratin Healing System heals and protects your hair, while organic coix seed straightens curls and waves. Also, this straightening product for natural hair provides your locks with thermal protection up to 482°F. To straighten, apply a small amount of the cream on damp hair. Then blow dry it with a round or flat brush to achieve maximum smoothness. the balm may leave residue if you apply too much of it. 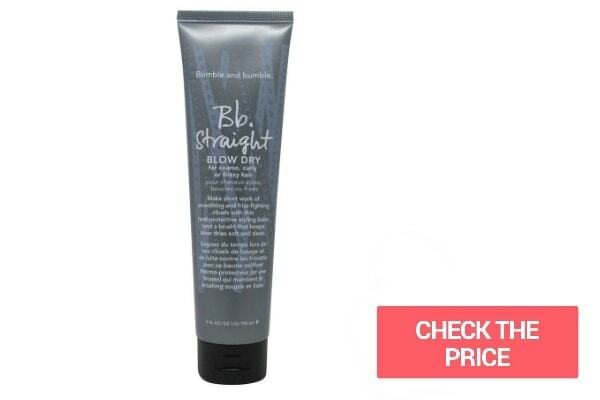 This straightening balm features a unique humidity resistant formula that helps straighten curls and regulate frizz. Also, this heat-activated treatment locks moisture in and protects your hair from heat during styling. It will leave you with smooth, shiny, and manageable locks – and what else do you need for a great blowout? Comparing with other straightening natural hair products, this one works great, yet it’s recommended for normal hair. it’s recommended for normal hair so the balm may not work well on fine or thick hair. These are professional hair straightening products that will leave you with much softer, shinier, and more manageable hair after the very first washing. Also, this combo significantly reduces frizz and even works as a detangler. The shampoo doesn’t feel harsh, and the conditioner is pretty thick, just as you want it to be. the shampoo and the conditioner both have just the right texture. it doesn’t feel like it rinses clean. That’s not a secret – some guys also want to have their hair straight. So, I’ve decided to do some research, and here are my top 5 hair straightening products for guys. It’s based primarily on reviews by Amazon users, yet I took into account my clients’ comments about these particular hair straightening products. 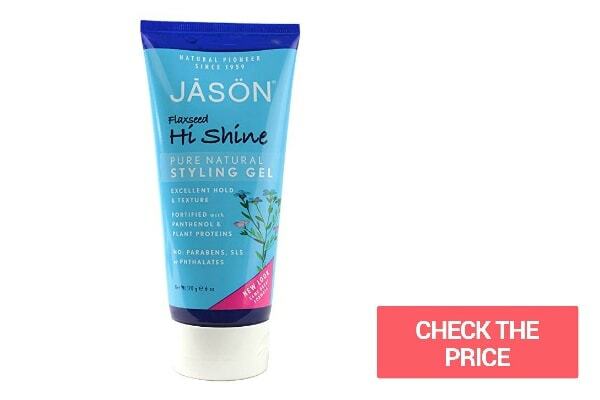 If used properly, this styling gel will leave you with soft and shiny hair with a great deal of volume. It contains the unique blend of panthenol, plant proteins and extracts, and flaxseeds. Using natural ingredients is one of the main concerns of the JASON company. What’s more, their products aren’t tested on animals. So, you can see why I prefer to use their men hair straightening products when working with male clients. one may find this gel rather drying, especially if you already have dry ends. 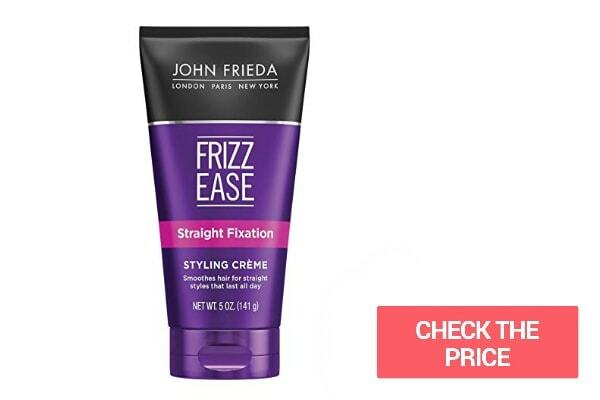 Keep the frizz under control and make your hair sleek and straight for up to 24 hours with the best hair straightening cream for men. It contains milk protein and sweet almond oil that help condition your hair without weighing it down. And the unique ThermaGard complex protects your locks from heat during styling. 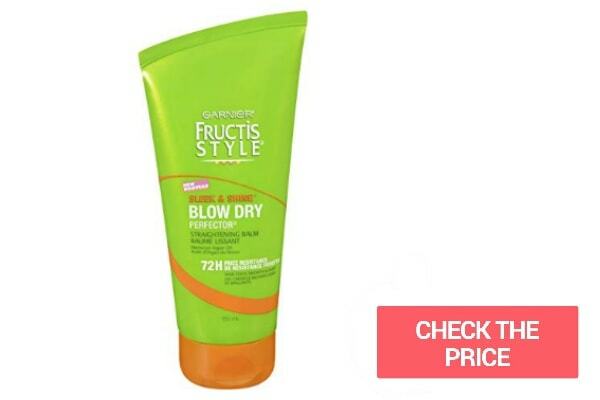 Your blowout will last for a couple of days without feeling greasy – isn’t that a dream? compared to some salon brands, this one may not impress you that much, but overall, this cream does the trick. 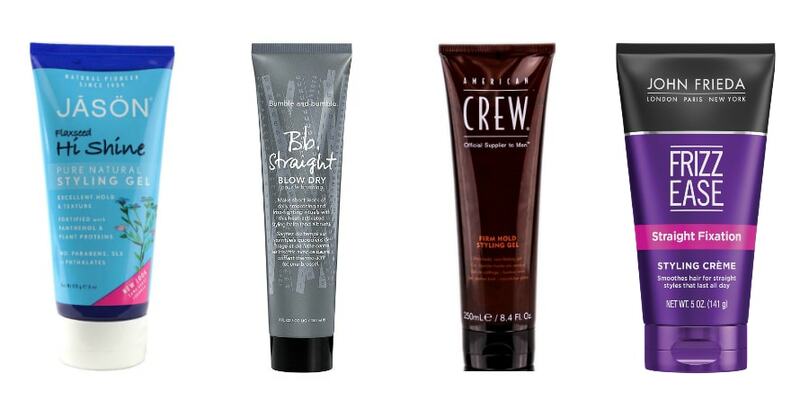 This styling cream will mold your hair in any style you want. It contains organic argan oil, natural soybean oil, beeswax, and green tea extract – the ingredients that not only make this treatment effective but also keep your hair and scalp feeling healthy and nourished. Such things are one of the main concerns of the Smooth Viking company – the fact that is always pleasant to know. 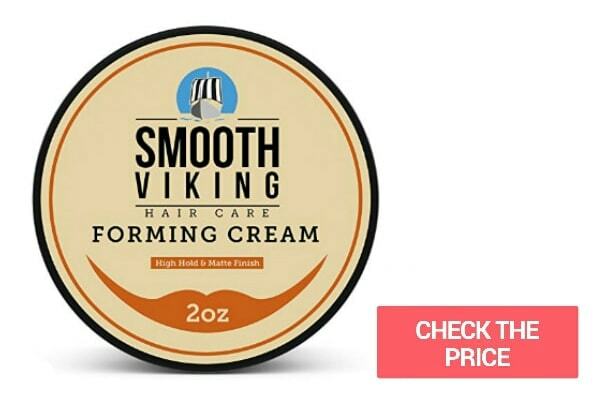 it seems to be designed especially for men, yet there are some Smooth Viking products for women. Are you looking for a perfect styling gel for creating vertical hairstyles? 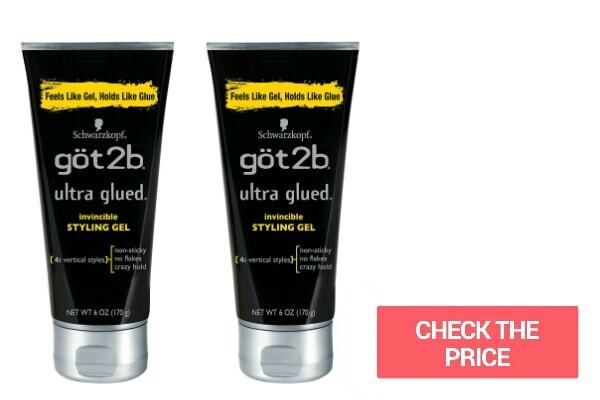 This Got2b hair gel is an excellent choice as its hold is strong enough to mold your hair in almost any style you want. This treatment delivers ultimate control without being sticky or flaky. Plus, it’s quite easy to wash out with just a little amount of shampoo. What a handy styling product for men, isn’t it? doesn’t work well on fine, thin hair. This non-flaking gel is enriched with natural extracts that add shine to your hair and make it look thicker. Also, it contains a dual polymer complex that provides high hold with a high shine, and the low pH prevents drying the scalp and the hair. Plus, this gel holds up pretty good against high humidity which is a critical factor for some people. it may seem a bit pricey. Here, I’d like to answer a couple of questions that I get asked most often. Are these hair straightening products harmful to my locks? What are the safest products to use when straightening hair? Some of the modern products can even improve your hair condition if used properly. For example, the Argan Hair Leave-in Conditioner Cream that I mentioned before contains natural herbal ingredients that make your hair healthier and nourish it. 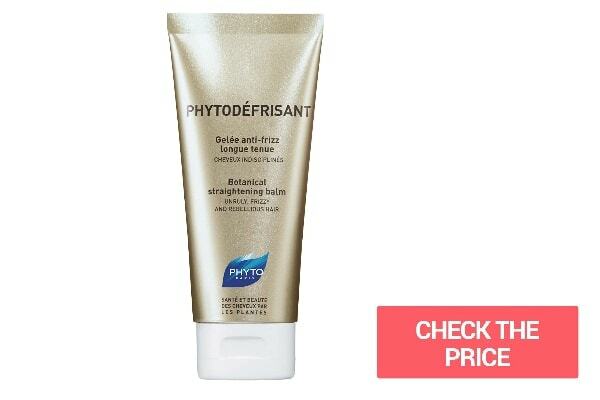 Or take PHYTO Phytodefrisant Botanical Straightening Balm, for instance, that softens your hair, moisturizes it, and protects from heat during styling. So, look into ingredients carefully and follow the instructions when choosing and using products for straightening hair. Be especially cautious if you’re allergic to some components, and don’t use products that contain these ingredients. Always observe the safety procedures. Overall, straightening hair products is a good complement for a flat iron or other styling tools. Some products make flat ironing noticeably faster and easier, and the result can impress you! But be ready to spend some time finding the one that works for you. Finding African-American hair straightening products may be especially difficult since this hair type is tough to manage. Why should I use hair straightening products after all? It’s totally up to you, but as I just said, hair products for straightening hair can significantly improve your experience with a flat iron. Some hair straightening products such as Brazilian Blowout Thermal Straightening Balm make flat ironing faster and easier, giving you the shinier result. Other products, like L’ANZA Healing Smoother Straightening Balm, protect your locks from heat during styling. Not to mention, they usually have other useful features such as controlling frizz or softening hair. 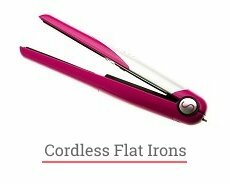 Most modern flat irons are pretty safe to use, yet heat can still damage your locks. And using hair straightening products can help condition hair, nourish, and moisturize it. Not a bad thing to do to your own hair, right? How do I treat straightened hair? First, try to straighten them with minimal damage – choose a straightening tool that works better for you: straightening brush, hot air brush or flat iron; select the right heat level for your hair type, and always use a heat protectant. Try to reduce usage of a blow-dryer and let your hair air dry when it’s possible. When it comes to styling, the less heat is always the better. Second, use those hair straightening products that nourish your hair, moisturize it, and protect from heat damage. Choose them depending on your hair type. Moisturizing shampoos, hair masques, and argan oil (and other oils) will come in extremely handy, too. Well, I believe this post was at least a bit helpful for you. My top lists are based on my own experience and that of my numerous clients. Also, I always examine hair straightening products reviews before choosing one, and I highly recommend you to do so. I have to admit, some of them may be fake, but in those cases, their authors are to blame. Finally, let’s discuss what to bear in mind when choosing or using hair straightening creams, balms, and gels. read other people’s reviews and ask your friends, relatives, and your stylist for advice. When it comes to hair care, there are plenty of options, and that’s not always that great. With so many hair straightening products available on the market, it may be hard to choose the one which will work for you. I guess, sometimes it’s this process of trial and error. So, ladies, have you ever used any hair straightening products? Which one is your favorite? Do you find them useful at all? Feel free to leave your comments below. I would be glad to read them all! I was looking for an appropriate hair straightening product for a long time. My hair is naturally wavy and Brazilian Keratin Hair Treatment Set mentioned here is the best option for it. The result after using it is stunning. My hair remains straight for a couple of months or even longer. It also becomes more silky and shiny after applying the products from the set. Strongly recommend to everyone who wants to achieve a long-lasting effect and don’t want to spend hours in front of the mirror every morning. My locks are very frizzy but after using Anti Frizz straight cream for hair it becomes so beautiful and smooth that I’m totally satisfied with my hairstyle. No difficulties at all while using it – you just need to apply some cream on your wet locks and the result will please you a lot. I couldn’t even imagine that just an ordinary cream for hair straight styling will help me out. I tried a lot of remedies but my hair is so unruly and thick. That’s why Anti Frizz is a real treasure to me, thanks for recommending it! Hi everyone! I’m Jessica and I really envy people with straight hair… Seriously. There are significantly fewer products straight hair needs, it also needs more care… But the main thing is that I LIKE straight hairstyles better! It really pisses me off sometimes, girls. Thank’s for sharing such awesome tips, Monica. I’ve already tried BnB straightening balm you’ve described in this article and It’s a cool product, a nice solution for people with frizzy hair. All that stuff you’ve described here, Monica, is the best hair straighteners products I’ve ever tried! Believe me, I tried a lot of it due to my unruly curly hair… If we are talking about straightening for curly hair, I can say that Brazilian Keratin Hair Treatment Set is the best stuff you’ve described here. When I tried it first it handled with my curly locks perfectly. 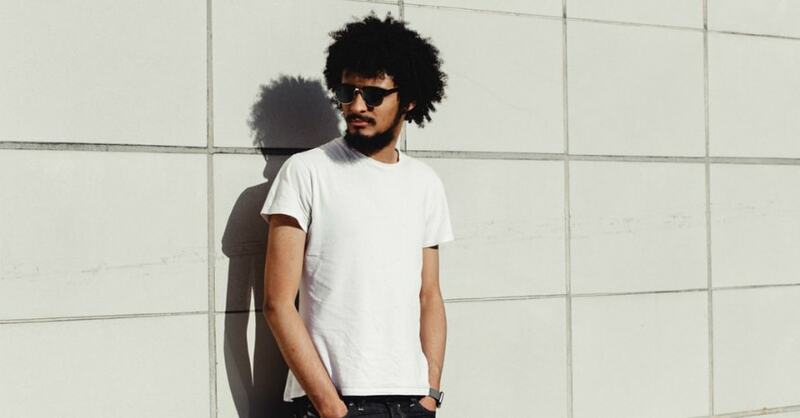 Even my friend with Afro-curly hair liked it – it worked even with such a coarse hair she has. Another thing I like in your awesome article, Monica, is Garnier Fructis hair straightening permanent cream. I always keep it in my purse. And the smell after using it is so amazing, strongly recommend to everyone, ladies!